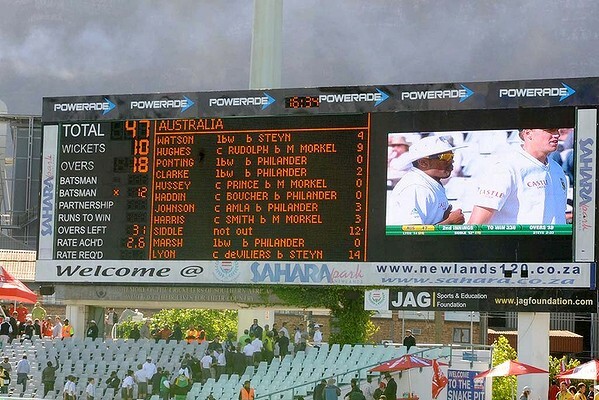 Never forget this day on November 2011 when South Africa humbled the Australian Cricket team by knocking them over for 47 runs. Was this Australia's worse day in cricket history? It's not - their lowest score is actually 36! Look at the batting line up - that top 6 is a pretty strong looking batting side! Not sure why I gloat so much, NZ's lowest test total is 26 runs. Man eaten by shark frees himself with a knife!